Welcome Louise Edmond as the editor of She's Got The Look. With her experience and knowledge of Mens Style for the past 8 years, Lou brings wisdom and practicality into QueenHoods pillar, that doesn't just lie in what you wear but who you are. My love for dangly earrings has always been strong, until I had my baby. Her little chubby hands constantly bee-lined for the glittery crystals hanging from my ear lobes, to which one day she managed to grab one before I could tenderly move her fingers in a different direction… and WOWZA! That grab was so fast and so painful, that I immediately stopped wearing earrings all together. And here is the clincher. As women start to dis-adorn themselves, but removing all the beauty and accessories to avoid the child from getting their hands caught in them, or their mouths around them, we tend to start to dress quite, well, plain. And thus it is called the tracksuit years. So if your children are still young, then here’s some good news when it comes to statement jewellery. Designers are making them out of non-toxic rubber so that you can rest assure if your little one grabs it and places it in his/her mouth, no harm will be done. My preference anyhow, when it comes to statement pieces, is a necklace or a cuff. The reason being is, as a mother you’re washing your hands 30 times a day, and having to take off rings and put them back on, starts to get monotonous. They’re not called statement for nothing. 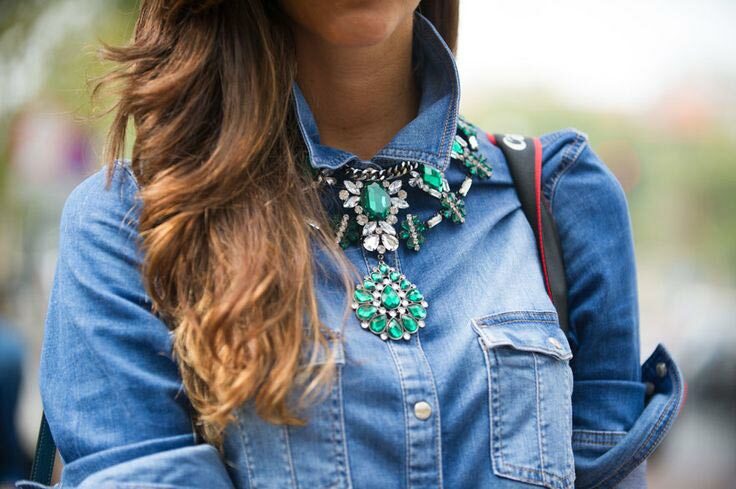 If you look back in history you’ll find that the statement necklace crosses borders and cultures. From Egyptian to African to European, the necklace was a regal and status embellishment. So, if you’re having a negative day but need to face the world with an instant pick me up, the statement necklace will certainly do this for you. With a toddler around, you also want your necklace to be break proof and those little delicate ones that were in trend a year ago, well, they ain’t going to cut it. After a few casualties from the tiny gold chain and pendant pieces, I realised that the statement necklace was earning her keep. Another terrific trait of the statement necklace, is in the event that you gravitate towards dark pieces in your wardrobe, a deliciously colourful beaded statement necklace will liven up any outfit. 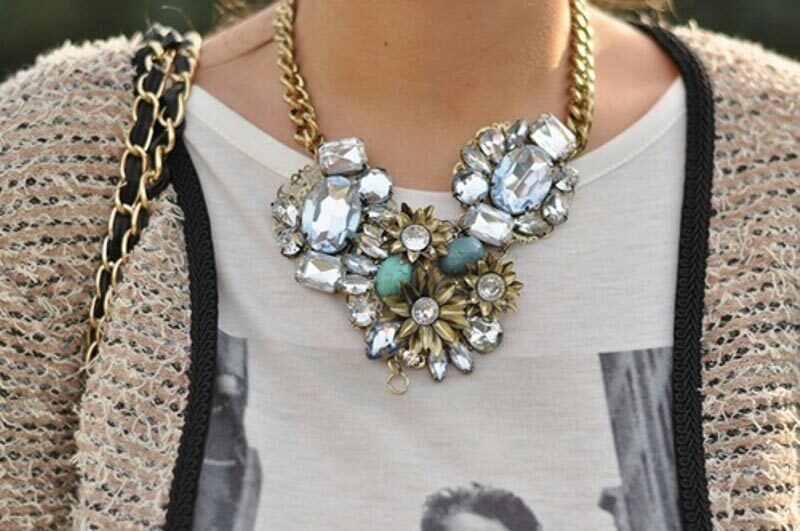 Statement jewellery will draw attention to anywhere you place it. So if you want conversation flowing around you beautiful face, or your orchestral hands, then adorn them up with these large talkative pieces.